Thinking of starting a Kitchen renovation in Carnegie? Mint Kitchen renovations Carnegie can help you out with our expert advice and highly skilled team of designers. With over 30 years industry experience, this family-owned business knows how to deliver a stress-free and reliable service. We always walk you through our step by step concept and design process. We keep you in the know throughout the entire project so there are no surprises when it comes to the final product. As the heart of the home, the kitchen sets the style of your house. Ensuring that this space is warm inviting, stylish and functional is a priority for all the team at Mint Kitchen Renovations Carnegie. We create the design and layout to suit your specific needs and also give you the best advice on a range of products appliance and details. Our knowledge of the latest styling options is also an important step in understanding the brief for your dream kitchen in your dream home. Mint Kitchen renovations Carnegie is dedicated to providing high-quality functional kitchen renovations. Our business is knowing your lifestyle needs by creating a space for your family that becomes your favourite room in the house. Entertain with ease or have your everyday meals and moments in the kitchen you’ve always wanted. Or if you are looking for bathroom renovations in Carnegie we can also help you with that. Finding yourself in a luxuriously designed bathroom that suits your families needs doesn’t have to be a long-term goal. Have one of our team speak to you about our a range of options to transform your bathroom into a beautiful luxurious space combining style and practical design. Finding your ideal bathroom renovation in Carnegie is easy with Mint Kitchen Renovations. Our Carnegie kitchen showroom is on Koornang Road right next Carnegie Central Shopping Centre where you’ll find Woolworths and Aldi supermarkets. Chemist Warehouse is right next door and The Rosstown Hotel is diagonally opposite. There’s plenty of underground parking at Carnegie Central and street parking on and around Koornang Rd. If you’re taking public transport, Carnegie train station is just a 3 minute walk away and the buses stop right in front of Carnegie Central on Princes Highway. 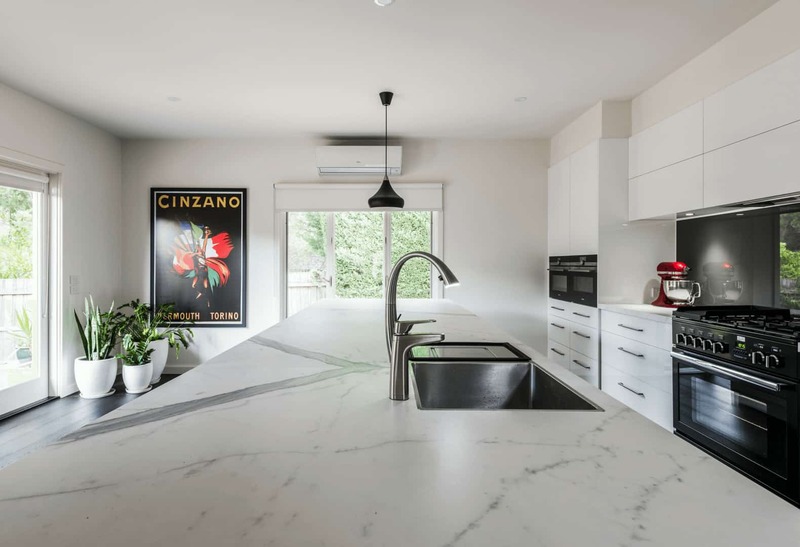 We specialise in completing award-winning kitchen design all over Melbourne, especially Bayside and Eastern Suburbs of Melbourne. So if you’re looking for an exceptional kitchen renovation in Melbourne, visit our kitchen display showroom in Carnegie and be inspired!